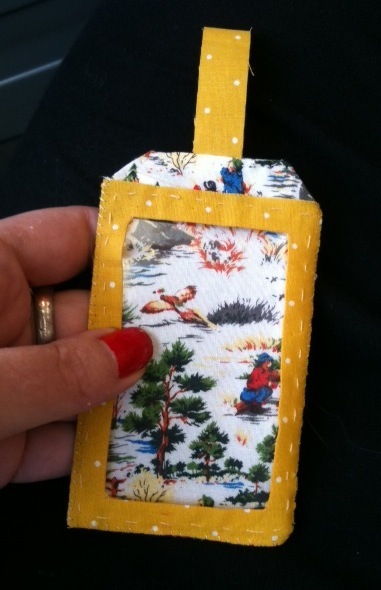 Hey blogger peeps, just a quick post today to show you my most recent make, this luggage tag, which was courtesy of Mollie Makes magazine. Oh, how I heart this fabric! You may not be able to see it too clearly but it features some great retro style cowgirls. Both the instructions and the fabric came in the last issue of Mollie Makes. (Sorry guys, you will have to order online or run to the shop super quick to get yours as the latest issue is about to hit the shops). 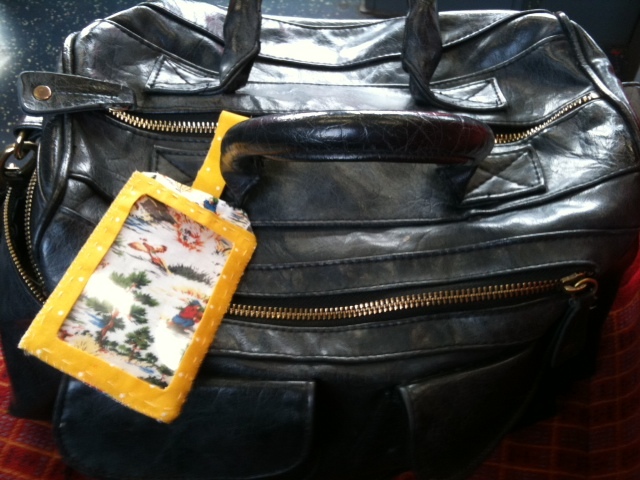 I know, what’s the point in a luggage tag without your name and address in it? I need to finish that bit but I’m reluctant to cover the lovely fabric! I thought for a bit of extra fun, I might sew my details instead of writing them. I’ll be travelling to Rome in September so I’ll have a to wait a whole month to use it properly but here’s my handbag modelling said item. Oh, she is such a show-off, is handbag! 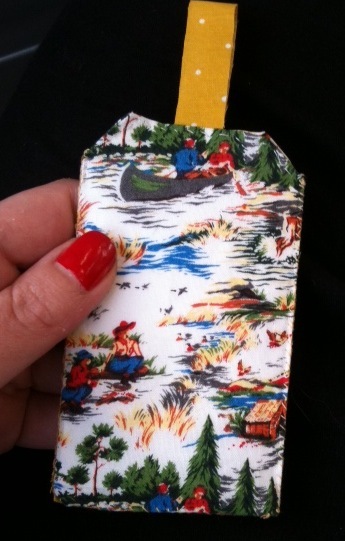 And here’s the back of the luggage tag, check out the cowgirls! Handbag just can’t get enough of the camera, the lush! 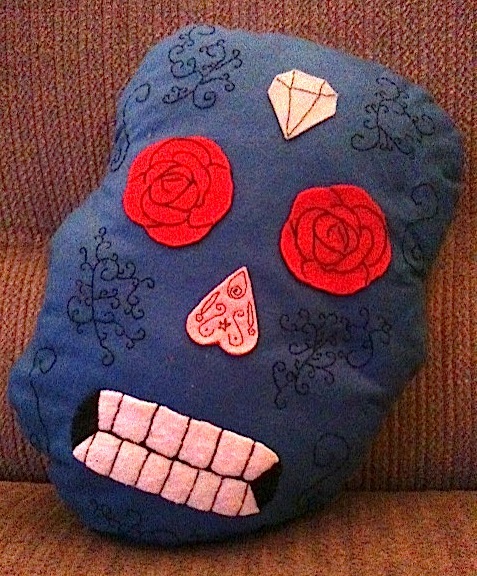 Here’s two things I can’t resist; a cushion and sugar skull design. I really didn’t need another cushion I’ve made so many, but the fun of it took over. 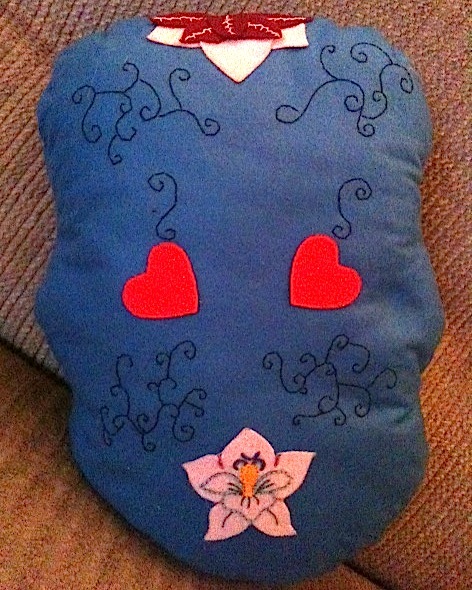 (I also used Sublime Stitching iron-on designs for the appliqué). Cut a number of shapes from your felt scraps. These will be used to decorate the cushion. Traditional designs are flowers, hearts and diamonds. I used Sublime Stitching iron-on designs to give me the flower shapes. Next, mark out a skull on your large pieces of felt and add a 1 inch seam allowance – but don’t cut it yet! Lay your shapes on top and decide how you want to arrange them. You will need to do this for the front and back. 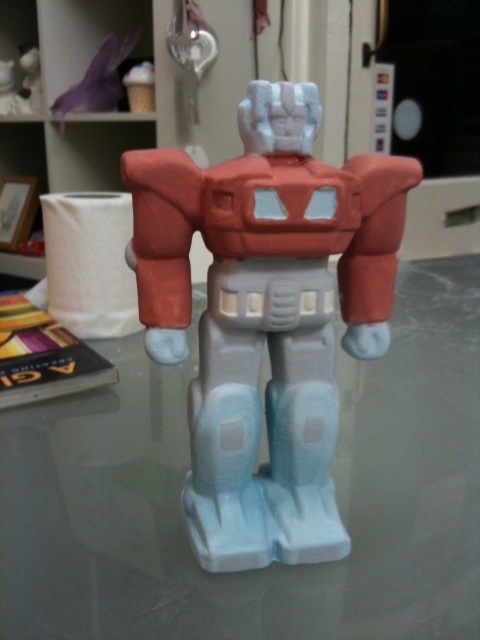 Once you have positioned your pieces, take a photo of them so you can remember where they go. You may wish to use some shapes for the features. I used roses for the eyes and an upside-down heart for the nose. It’s also nice to use a variety of stitches. I used back, chain, feather and rope stitch, plus satin stitch to fill in the black on the mouth. You can either embroider the pieces straight on to the skull or embroider them first and stick them on using all-purpose glue. I found the latter best as it means you don’t have to sew round the edges to keep the shape in place. Also, sewing two layers of felt can be slightly stiff! Once you’ve finished your embroidery and appliqué, place the two pieces with their faces together and sew round leaving a small gap for the stuffing. Turn right-side out, stuff with padding and hand sew the hole. Today’s post feels a bit of cheat. By now, I wanted to tell you all about the amazing dirndl skirt I’d made. Unfortunately, I haven’t. (Roll on the weekend so I can get busy with the sewing machine!) Buuuut, I did manage to adapt a too-short dress into a skirt. Here are the pics (apologies for the blurriness, I really must sort this camera situation out). 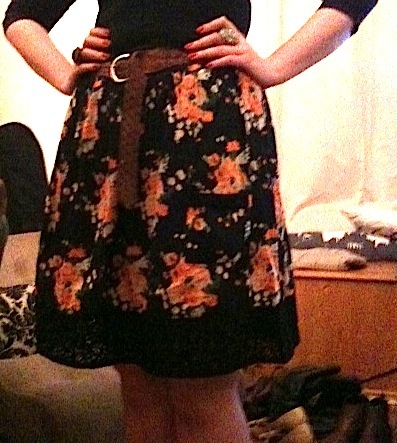 I liked the fabric of the dress, which is why I bought it (and it was a Primark cheapy), but the dress was too short. Also, it fell in ruches from under the bust which wasn’t at all flattering on me (did I mention it was a Primark cheapy? So, I unpicked the top section (which is in a pretty black lace that I intend to sew into another dress later), leaving me with the bottom section which was the perfect length for a skirt. I pinned ruches that fallen out when I unpicked the skirt and then sewed it to an elastic waistband with strong zigzag stitching. Of course, with firm stitching the elastic had less give so I made sure I used my usual waistband measurements, the bit of give that’s left allows me to get the skirt on and off. I think it sits a lot better now and is far more flattering on my waist and legs. I must have worn the dress only a few times until I pushed it to the back of my wardrobe in frustration, but now it’s a skirt I’m sure it will become a staple. 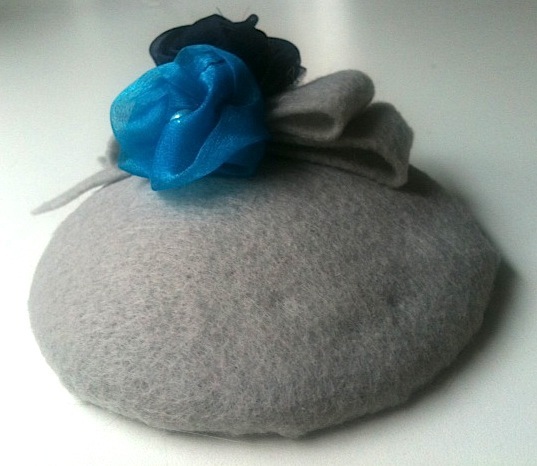 I promised you a picture of and ‘how to’ of these felt roses. I’m a day late (apologies), but here goes! As I said in my last post, I got the ‘how to’ from Gertie’s Blog For better Sewing (are you super excited about her new book, out soon? I can’t wait to get my mitts on a copy!). Felt roses, great for so many craft projects! All you need to make these is a strip of felt and a needle and thread. Have a look at Gertie’s instructions as they’re very clear. I found the trick to folding these is to bend the strip of felt down a 90 degrees angle before continuing to wrap it round. 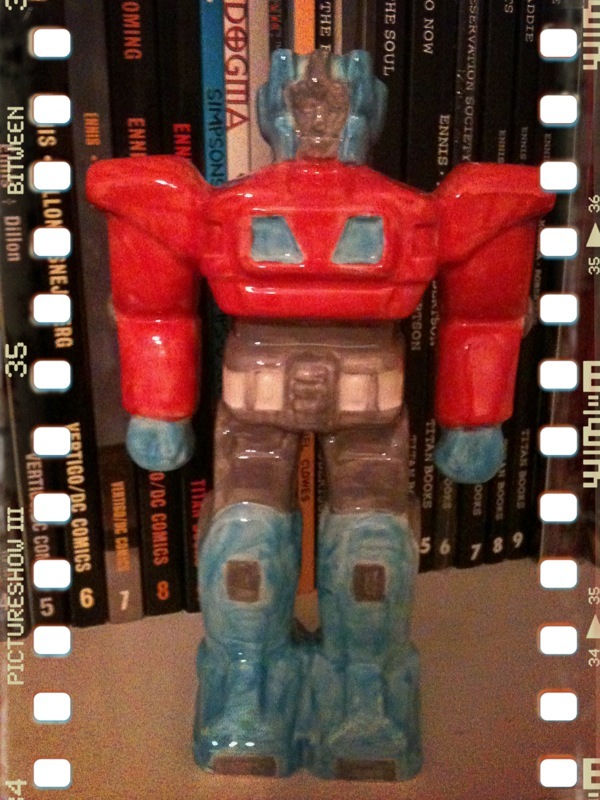 It has to be said, Gertie’s are better but a) she is Gertie and b) this was a first attempt. I think the effect works much better when using a longer, wider strip, making larger roses. I’m sure I’ll soon post again having made larger roses to prove my point! Once it’s been made and it’s time to sew it in place, I found that sticking in a few pins helped it keep together — essential if you’ve forgotten to thread your needle already! 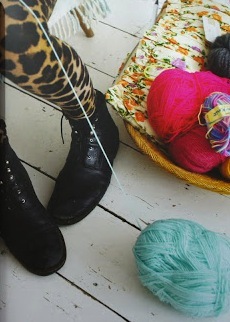 Gertie’s tip to ‘stab stitch’ is also great one I’ll use again. I can see endless opportunities for these little pretties. I sewed these on to hair clips but I’ll make more to decorate a fascinator and can also see them being used to prettify presents. 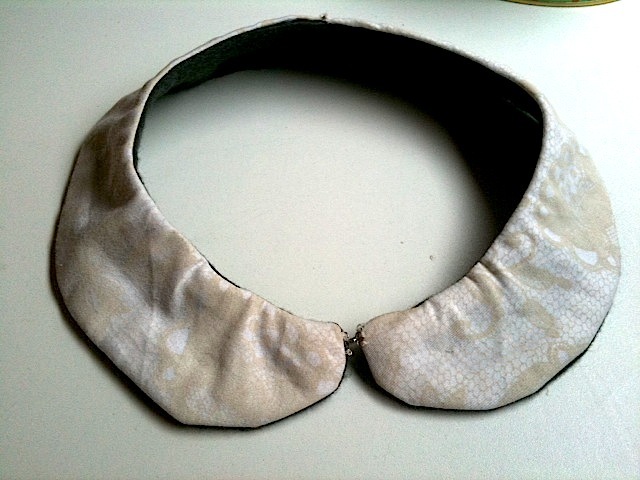 I got so carried away with the reversible collar I posted about last week that decided to make another one at the weekend. I fancied a red one this time, which I can wear with red shoes, a plain black shift dress and a couple of other red accessories. I hope to wear the complete ensemble this week. You may notice that one side is glittery – it was actually glittered felt. If I’m feeling a bit fruity I can flip it over and wear it with the sparkles showing (but I doubt I will). I traced the pattern from this shirt I already had on to baking paper and used it as a template. 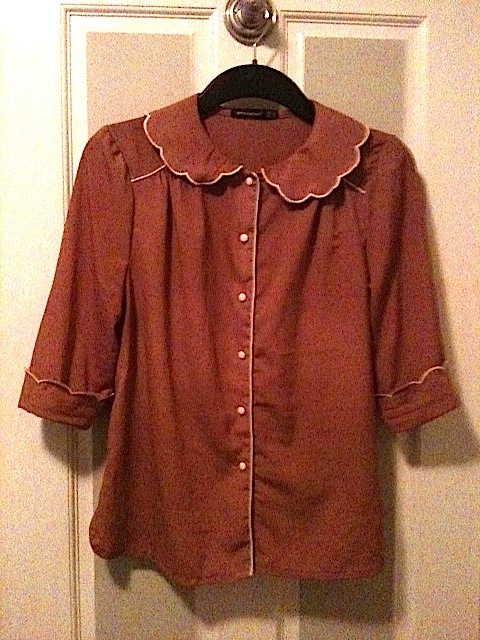 I love the scalloped edge and thought it was fun to have something different to the last collar. 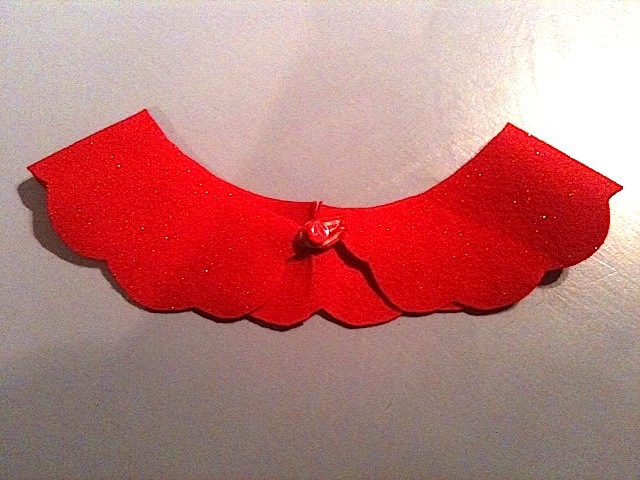 After cutting, I sewed the two pieces together (you can make this in one whole piece but my felt wasn’t large enough). 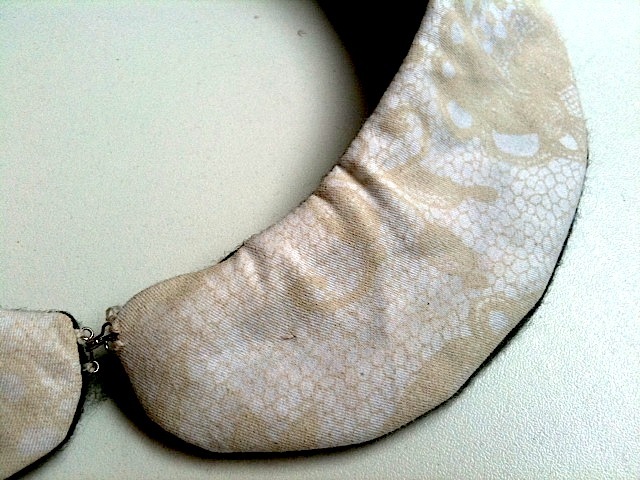 To fasten it, I added a button to one side and a loop made from a folded length of ribbon to the other. 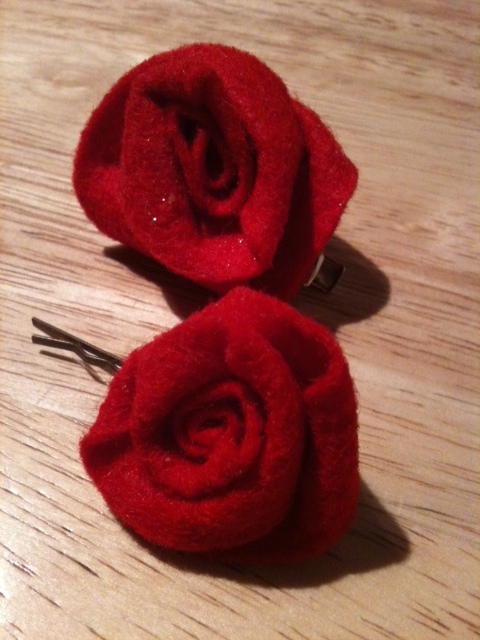 Tomorrow, I’ll tell you about some cute roses I made from the remaining felt and which I fashioned into hair clips. The method’s by Gertie Hirsch, who I have a bit of a girl crush on. 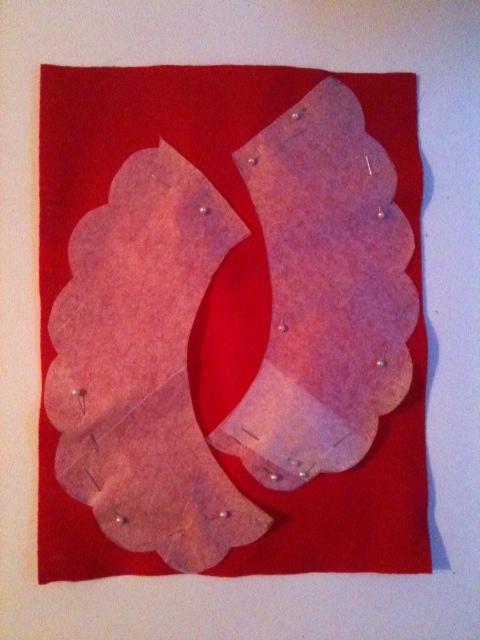 I also started to put together a dirndl skirt from Gertie’s Blog for Better Sewing. So far, I’ve measured and cut both the paper and fabric. It’s a very simple pattern with a front and back piece, plus the waistband – but it’s also my first try at clothes-making and I’m quite nervous. I’ll keep you posted on how it goes! Although I didn’t do half the things I’d wanted to (I blame the sun, which induced a long nap in the park and a Cocker Spaniel pup, which was so cute I couldn’t bear to leave), it was still a pretty productive weekend. I also made some crazy clay antlers that I’ll wear as a fancy dress costume at this year’s Bestival (the theme is wildlife but I’m adding a bit of glitter and glitz à la Midsummer Night’s Dream) and will then recycle them to use as a jewellery stand. All will be revealed in future posts! Still, I have so many other projects I want to work on and I’m always amazed I get to Sunday evening so quickly. I really want to make some pendants from Shrinkies; I have loads sewing projects, including Rosie Music’s Shy Girl to go with the Shy Boy I sewed recently, a cross-stitch Star Wars sampler, a tattoo style cross-stitch pillow for my cat, Dee (I’ll adapt the letters to read Dee, not Dad. Sorry, Dad) and I want to get on with some crocheting. If only I could book a holiday to get it all done! I love weekends. I almost always manage to finish a project at the weekend, meaning I end up with a lovely new something without even having to venture to the shops! 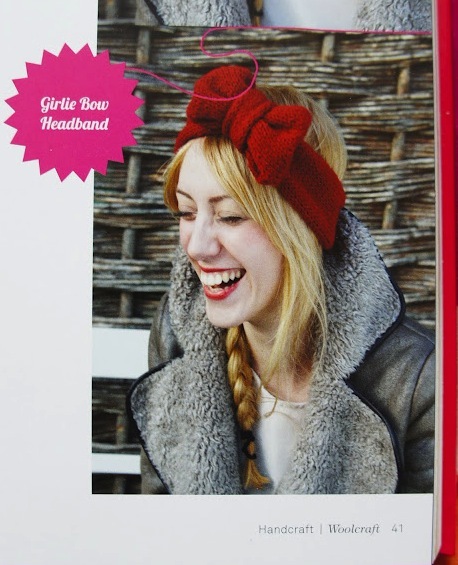 Last weekend it was this Peter Pan collar, which I made from a pattern in Mollie Makes (issue 15), you find the template here. 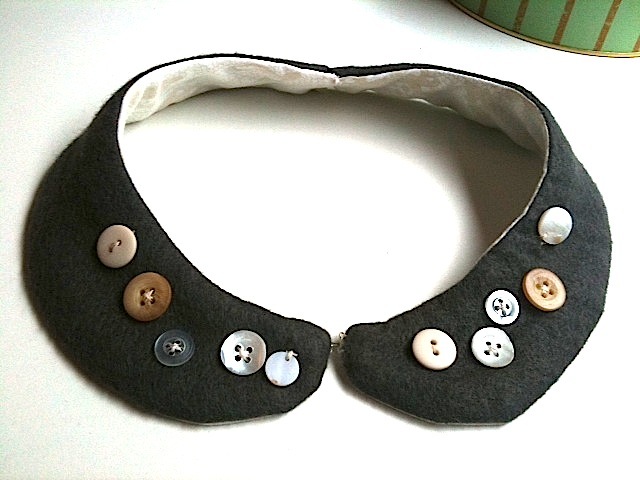 Reversible detachable collar – a quick and easy make! I found a fab pillowcase from a near-by charity shop for 50p, I love the subtle lace print on it and thought it was perfect for a collar. 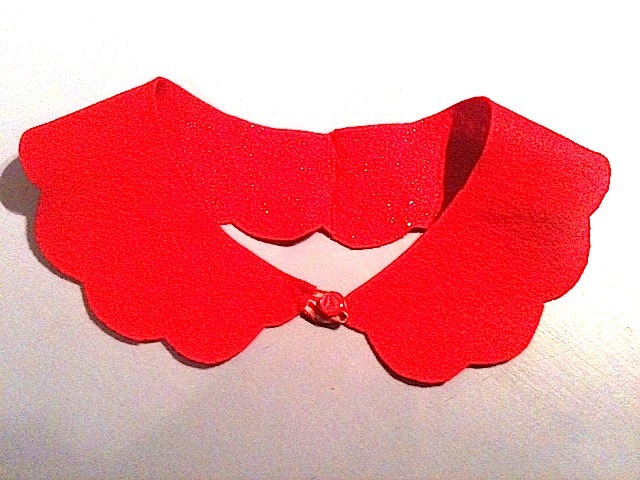 I decided to back the collar in a contrasting colour, making it reversible. I chose dark grey felt to add a bit of substance and thickness, as well as an interesting texture. 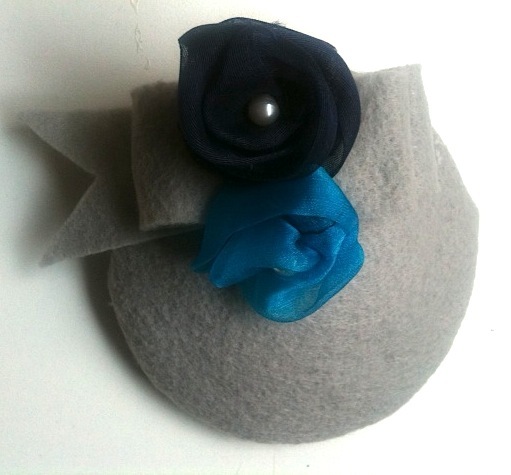 I also added a number of pearlised and pale buttons to the felt to add a bit more interest. I fastened it with a hook and eye fastener. They’re very quick and easy. Just mark, cut and pin the fabric (the template is in two pieces). Sew all but the shortest side, which is the join at the back. Turn inside out, sew the two pieces together at the join and add a fastener. 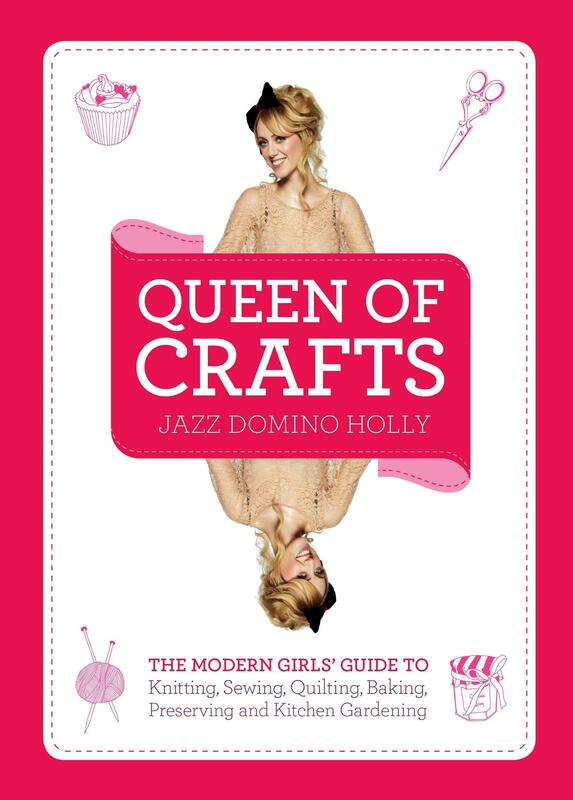 The Mollie Makes version is sequined, which is more time-consuming, but fabulous. So what next? This issue of Mollie Makes came with the instructions and material to make a retro luggage case, so guess what I’ll be doing come Sunday! 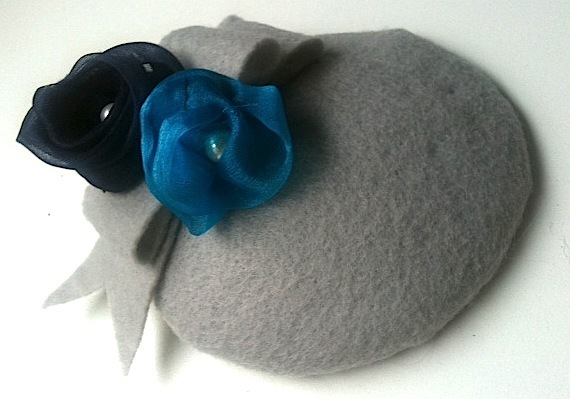 As promised, here’s the fascinator I made for the recent wedding, which I blogged about yesterday. I went for a 1950s style to match my outfit (I was going for Mad Men of course, who wouldn’t). In terms of how-tos, there’s little to tell you about this project — it’s simply a matter of choosing your colours, buying your individual items and fashioning them together. I cheated and bought a ready-made teardrop shaped sinamay fascinator base, but next time I’ll be good and hand make one, honest! 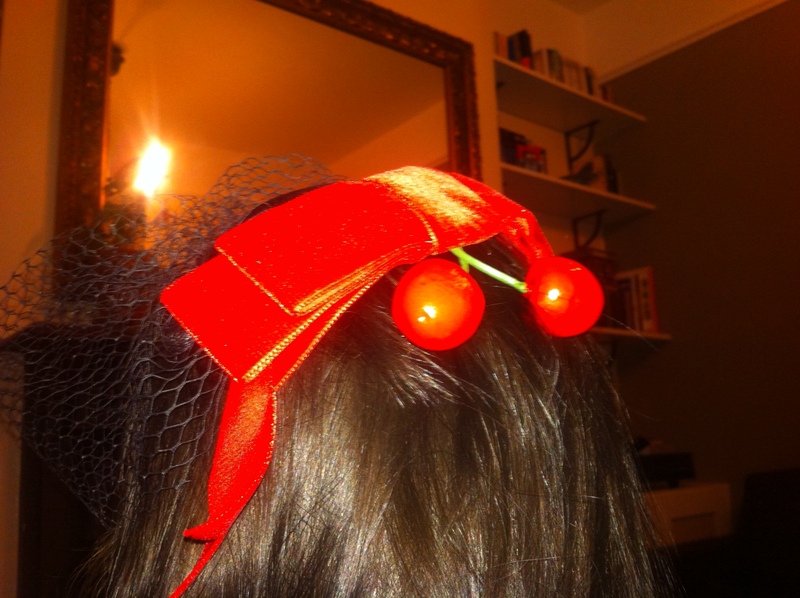 I made a red velvet bow a la Elsie Larson for the back and attached faux (okay, obviously plastic) cherries to the back to add a fun, rockabilly element. 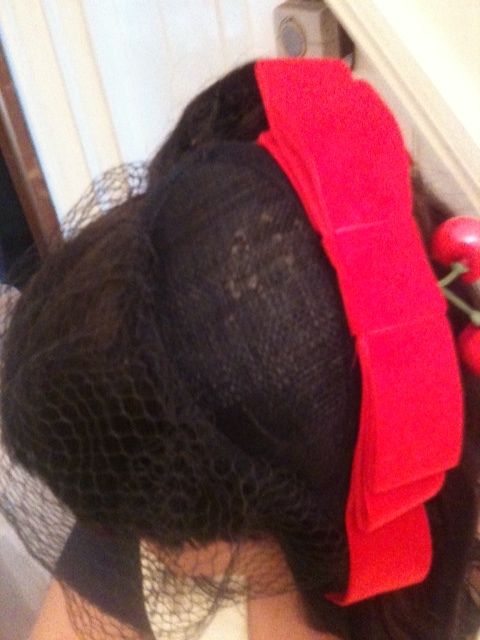 I also stitched netting to the front and a hair comb on the underneath of the base to secure it to my hair. What do ya think? I loved making it and have the distinct feeling I’ll be making more. 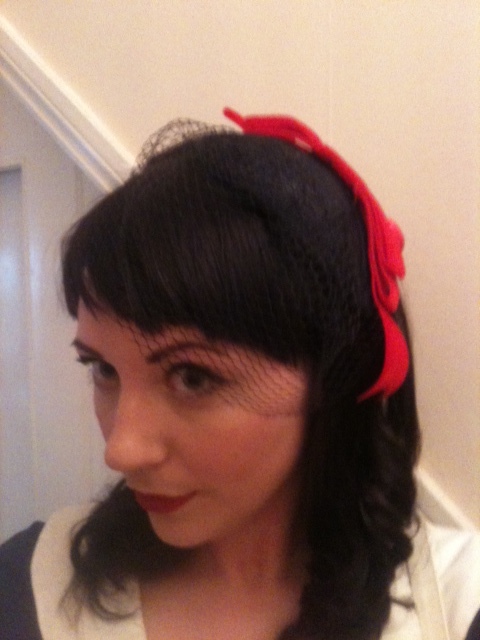 In fact, I may start a revolution; let’s get women wearing fascinators more often! They’re all too easily limited to weddings and the confines of our own homes and quite frankly, it’s weird (but wonderful) wearing one while doing housework! Here’s another one I made recently. 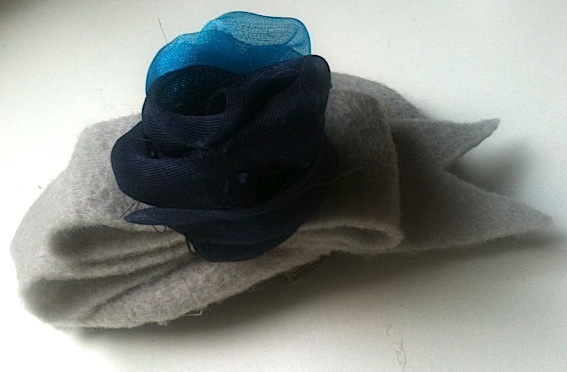 Have you got any tips or examples of homemade fascinators?